Modern technologies have brought innovative improvement to the advanced world. 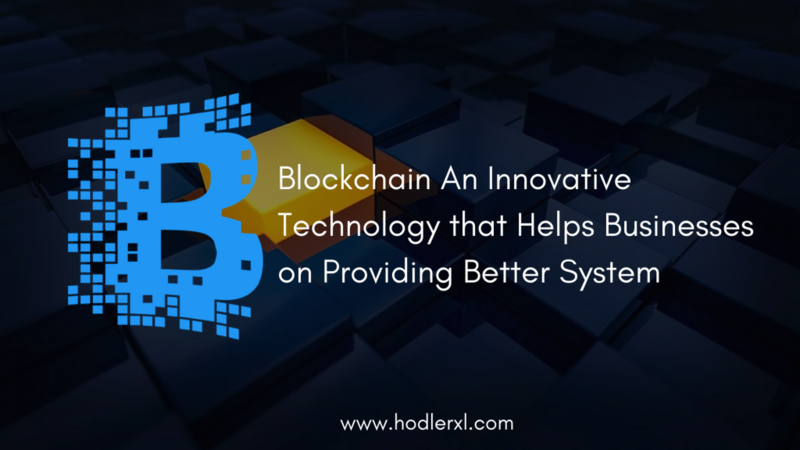 The blockchain technology is undoubtedly one of its most incredible progress. It has fueled some of the companies and organizational processes today. And, because of its noticeable benefits, it became the central concept of various industry fields. Blockchain gained the excellent reputation as the foundation of the growing global commerce. It is an open ledger which can record the full history data of any transaction precisely and accurately. The whole blocks are permanently and everlastingly recorded. It is hugely protected and will remain touchable to no one. All projects that use blockchain technology can assure safe connections and transactions. Those companies that need blockchain applications can add the technology into their system. After identifying the suitable blockchain to use, companies should get the perfect blockchain program for the network. They can ask experts in software engineering to apply for it. Tasks that practice public blockchain will be very transparent, and everything will be shown visibly. It provides an accessible platform, and everyone can read all the transaction details. It is perfect for companies that aim at delivering open but secured structure. On the other side, projects that utilize private blockchain can have a more controlled and more managed transactions. It is ideal for finance areas. This kind of blockchain will enable the operator to regulate the blocks. They can choose who can contribute, view and validate the ledger. How does Artificial Intelligence changes blockchain? The blockchain is undeniably powerful and beneficial. However, just like everything else in this world, it has boundaries as well. Through machine intelligence, everything is possible, and blockchain can go beyond its limits. Efficiency Matters: AI can help companies (those based on blockchain) in reaching the highest possible efficiency. It will also provide them with a faster transaction rate while reducing process expenses. Privacy Features: It paved the way for competitive advantages of the blockchain. Businesses can easily give their users private data ownership. Hardware: Most individuals and companies today allocate significant volume of finance in hardware mechanisms. Once the network becomes more active, some part of hardware may be changed to neural network usage. Security and Protection: It will be hard for everyone to hack blockchain’s applications. It can guarantee a protected and secured system. Scalability: AI helps blockchain have an increase in done transaction counts in every second. AI introduces merged learning scheme to Blockchain for more good results. Energy consumption: Some of the processes that make use of block technology requires a large measure of energy to be accomplished. AI can efficiently optimize energy consumptions resulting in lower investments costs or expenses. Data gates: Time will come that blockchain will run all the data necessary for companies’ daily processes. Machine intelligence will make this possible. Blockchain technology can deliver a beneficial, transparent, open, secured, protected and stable system. Its records are all safe. No one can manipulate the track history of transactions made under blockchain.